A month ago I helped facilitate a discussion at the Docks Expo marina conference around the future of marina operations. In a far ranging discussion with marina operators and service providers we covered a number of interesting topics. Whether it was an operator who used electric boats for tenders at a marina in the Middle East with great results, to an operator in Lake Tahoe talking about engine restrictions due to environmental concerns, or discussing the payback period for fuel dock infrastructure investment, it became clear that electric boats will have a big impact on the future of marina operations. Attend most large boat shows these days and you’ll probably find a busy booth showing off the latest in electric powered boats and electric outboard engines. In the recent past most electric propulsion systems have been small electric outboards used in fishing or inboard electric systems on sailboats. Boats powered primarily with electric propulsion have been around for a while but their limited range and high price made them only suitable for jobs like a tender at a marina or resort. That’s starting to change with advancements in battery technology and lessons learned from electric car companies like Tesla. Full-package inboard electric boat companies like Ocean Volt, Xshore, CEBC, among others, are leading the charge (sorry, couldn’t help it). For electric outboards suitable for real powerboating we’re starting to see companies like Torqeedo, Aqua Watt, and Elco bring options to the market. We can expect traditional outboard manufacturers like Honda, Evinrude and Mercury to be fast followers once mass adoption starts either by buying the previous mentioned companies, or through their own product development. 1. Service yards will be dramatically impacted by electric boats. One of the main promises of electric engines is that they’re self contained units that don’t need traditional engine maintenance. A lot of a yard’s business in colder climates is winterizing and then getting boats ready to go in the spring. Keeping engines working properly in salt water environments and general engine maintenance are a big part of any coastal yard’s business. We probably will not need as many marine service yards, yards will need more expensive diagnostic and software updating equipment, and the technicians working these yards will need a higher level of education and certification to work with these new systems. 2. Marinas will need to change some of the infrastructure on the dock, in dry stacks and cut back on fuel infrastructure. The good news is that most docks have electrical and overnight low amp charging will be fine for the vast majority of use cases. Marinas will be able to set up quick charging berths using the same charging technologies being developed for land vehicles, and might provide these heavier duty charging pedestals for a premium to bigger boats or customers who don’t mind paying a bit more. Dry stack operations might need an electrical upgrade as well, but shouldn’t need a complete redesign. Marinas might start reducing the number of pumps in new infrastructure, and even eliminate fuel docks all together. 3. They’re environmentally friendly. Lake Tahoe is an example of one ecologically sensitive area that has restricted engine types due to pollution concerns, and there are a lot of watersheds in the world off bounds to combustion engines due to concerns about water quality. As electric boat technology becomes more viable areas like Lake Tahoe could become combustion engine free zones. This could force marina operators in these areas to upgrade their facilities much quicker than other marinas. The upside is these will be great places to be an electric boat dealer and we could see new combustion free marinas allowed in areas where they hadn’t been allowed previously due to concerns about the environment and drinking water quality. 4. Electric boats could lead to greater harmony in the marina. The divide between sailors and power boaters has a lot to do with the sounds and smells associated with power boating. Electric power boats promise to drastically reduce the smell and sounds associated with combustion engines. Another classic marina conflict is liveaboards vs. sports fishermen. People who are into sports fishing fire up their engines before dawn to get out there at first light waking up liveaboards sleeping nearby. Electric boats will allow sport fishers to silently slip out of the marina in the morning without waking anyone up. 5. Electric boats could make boating more popular leading to an industry renaissance. Sailing is a great activity but a lot of people find the skill and complexity of the activity very intimidating. Few adults are willing to go through the process of learning how and when to raise a sail. You pretty well have to learn as a kid or go through the process of crewing a Wednesday night race boat until you get the basics down over the course of a season or two. Power boats have a much lower barrier to entry but they’re loud, often smelly and have operating costs (fuel and maintenance) that sound ridiculous to people not already in love with the activity. 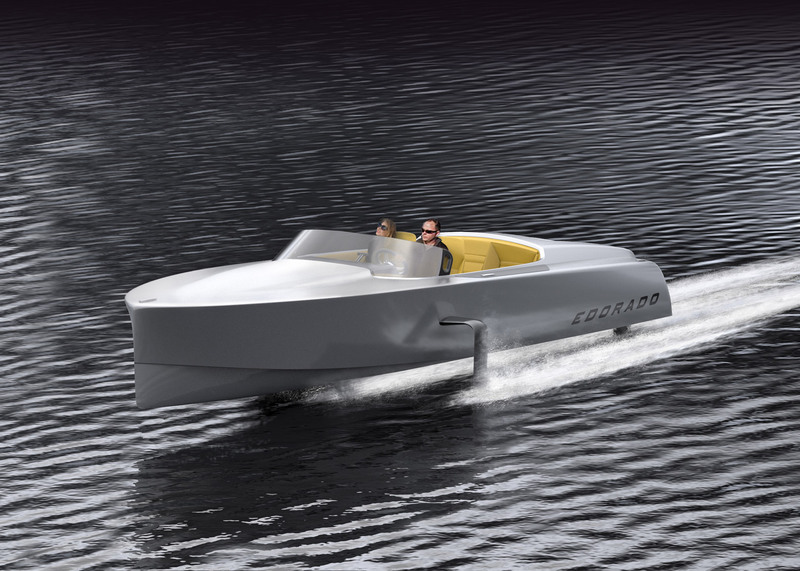 Electric boats promise to meet both types of boating in the middle. They’re quiet and environmentally friendly providing that amazing feeling of silently flying through the water without having to learn the skill of sailing. They also let you do this in areas too tight to travel under sail. Charging batteries on an electric boat is a small fraction of power boat fuel costs and maintenance costs are significantly reduced essentially eliminating most variable costs associated with power boating. Electric boats could be the catalyst recreational boating needs to revive its popularity and move us into the next stage of the industry’s evolution. The history of electric boats can be traced back over 100 years with its heyday being in the late 1800’s. The current benchmark for batteries is lithium-ion which powers most electric cars, laptops and the current generation of electrical boats. As with electric land vehicles like cars and motorcycles, range is the biggest issue holding back the mass adoption of electric boats. We can expect to see new battery systems like lithium-air soon as billions of dollars are currently being spent on battery R&D. These new technologies will drastically increase the range of electric boats, potentially far beyond your average gas or diesel set-up. As mentioned above, we don’t really know when all of this will happen on a large scale. We could see a big push in environmental regulations which hyper-charges (sorry, not sorry) the adoption of electric boats, or we could slowly adopt the technology over the next few decades with marinas changing slowly to meet the demand. Whatever the pace of adoption is, it’s coming and could have a huge impact on recreational boating as a whole, and service providers like marinas. Iaian Archibald is the CEO of Swell Advantage building the next generation of marina and waterfront management software. Iaian grew up powerboating at his family's cottage, blue water sailing with his step-father, and spent four years as a professional whale watching boat driver on the West Coast of Vancouver Island.